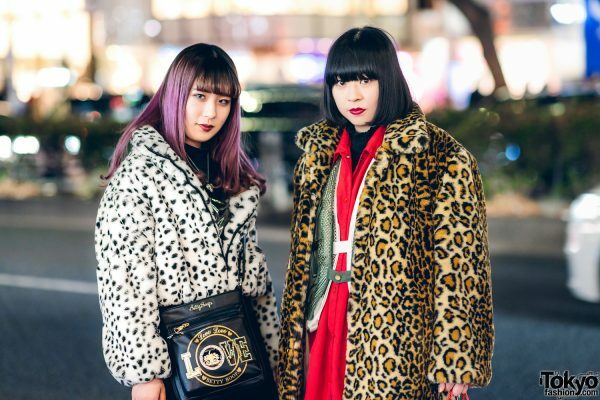 Standing out on the Harajuku street one evening with their chic animal print streetwear styles are Noeka and Nanako. Sporting long purple hair with bangs at the left is Noeka, a 19-year-old fashion college student. She is dressed in a resale white-and-black animal print furry jacket, which she wore over layers consisting of a black Uniqlo top and a metallic H&M cowl-neck top. A black Zara skirt over sheer purple tights, black Betty Boop ribbed socks, and lace-up heeled boots from Yosuke completed her outfit. 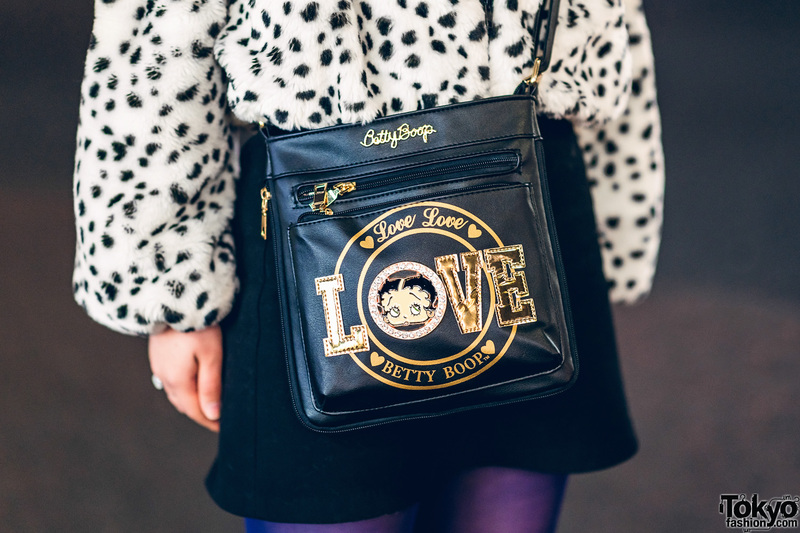 A heart pendant necklace from Jouetie, and a black leather crossbody bag with gold accents by Betty Boop are the finishing touches to her chic style. Jouetie is Noeka’s fashion favorite, and she likes listening to Korean hip hop music. 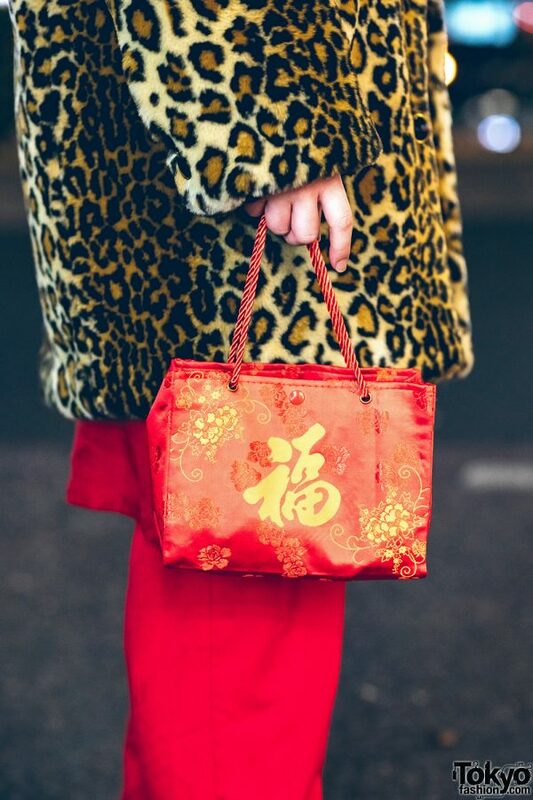 Follow Noeka on Instagram for her style updates. 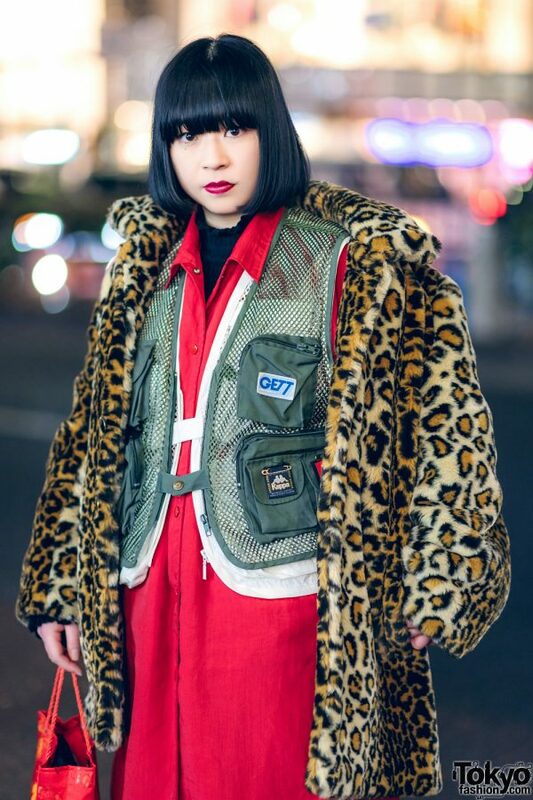 Meanwhile, Nanako is clad in a resale outfit, which consists of a leopard print furry coat, a double mesh vest, a black turtleneck top, a red button down shirt dress and matching red pants. 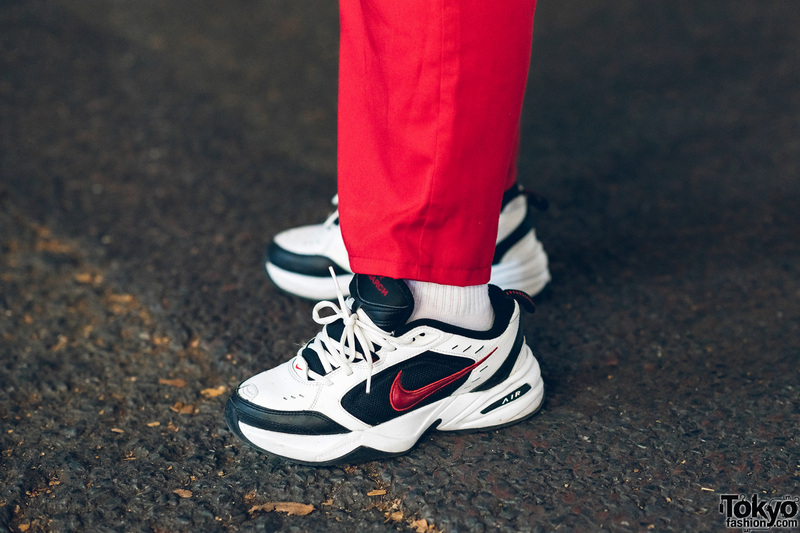 She slipped into a pair of Nike Air Monarch IV sneakers, carried a red-and-gold Romantic Standard bag with floral and kanji accent prints. A bold red lipstick shade rounded out her streetwear look. 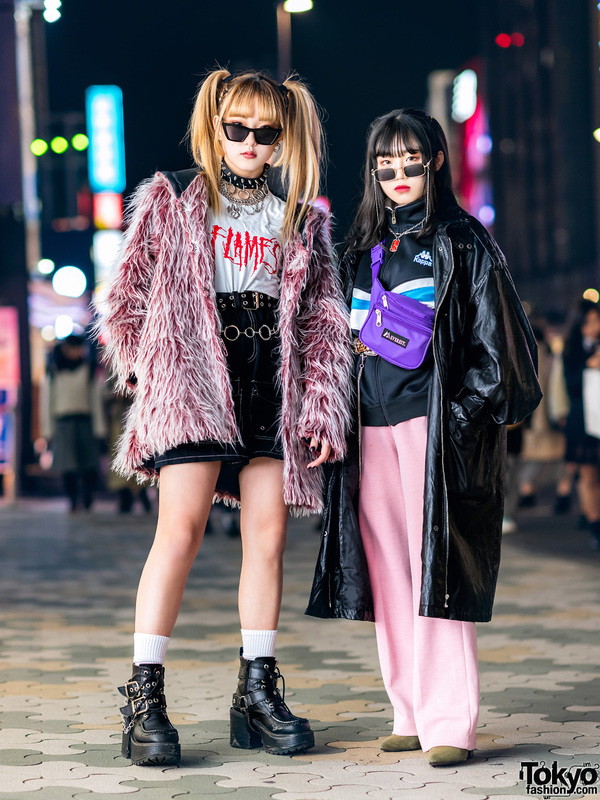 Nanako lists Jouetie and Kinji as her fashion favorites, and she loves the music of Japanese rock band, The Elephant Kashimashi. Nanako is also active on Instagram.